Lesson 9: Polarity - Simple Cases. 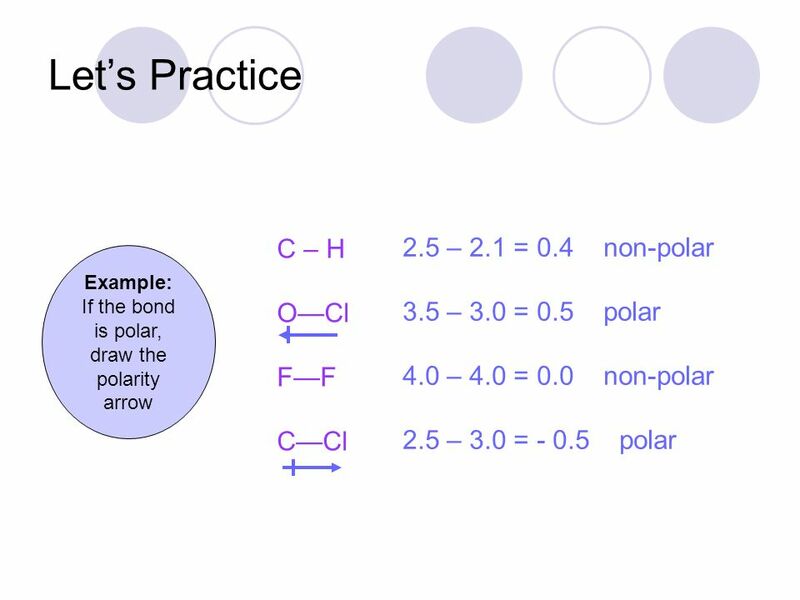 In the last module we used diatomic molecules as examples, where it was easy to see whether the molecule was polar or nonpolar. If the two atoms were the same, the molecule had to be nonpolar, and if they were different, the molecule was polar. 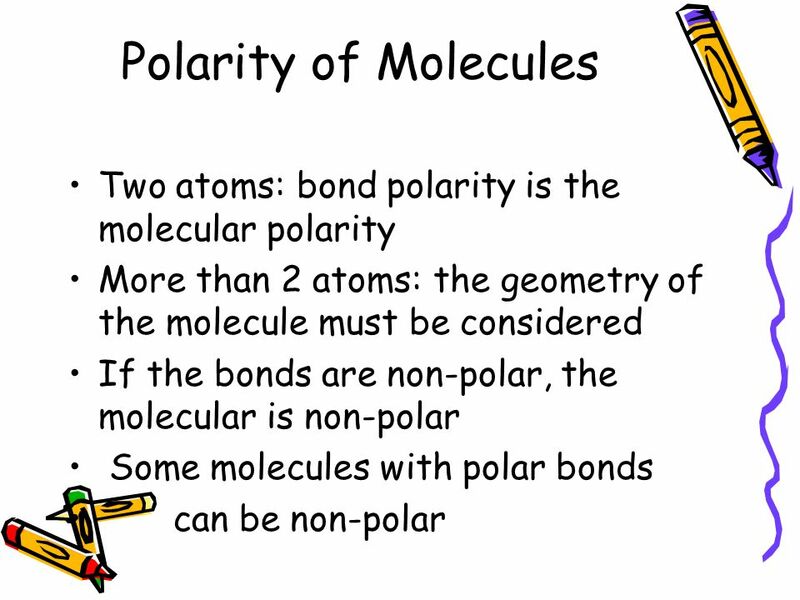 In general, a bond is polar if the two atoms involved are not the same. (Two common exceptions to this are C-H bonds... If a molecule has a polar bond, it does not automatically follow that the molecule is polar. Polarity of the molecule has a lot to do with the geometry of the molecule, but that is a topic for another post. HCN, or hydrogen cyanide, is a polar molecule. It consists of two polar bonds whose polarities line up in the same direction, thus conferring an overall partial positive charge on one end of the molecule and a partial negative on the other end.